We believe that mathematics is a natural and deep part of human experience and that experiences of meaning in mathematics are accessible to everyone. Many formal aspects of mathematics have now been mechanized and this mechanization is widely available on personal computers, but the experience of meaning in mathematics is still a human enterprise that is necessary for creative work. The chapters of this book can be used in a variety of different orders and at many different speeds. Instructors have used some of the problems from this book and then added their own favorite problems. We have learned that many of the most sucessful uses of this book in the classroom happened when ... instructors did not follow the book! Supplements to some of the chapters in the book. 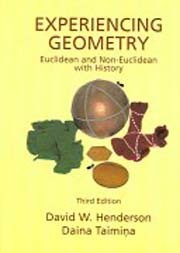 Links to some resources in geometry. 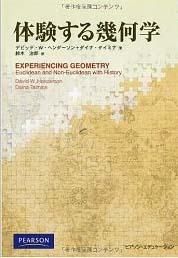 Links to resources in history of mathematics.